Today in Nigeria cosmetic business is one of the trending business most especially for young ladies but you would be surprised to know that cosmetic business is one of the biggest business in Nigeria. The market is very large, lot of people thing cosmetic business is all about makeup and facials, to some its about skincare, hair oil, body soap but cosmetic is much more than all of this, its all encompassing. Makeup and skincare are part of cosmetics, cosmetics is everything that has to do with looking good and keeping the skin healthy. Every body want to look good for some looking good is to impress other people, to other looking good is just what they like doing so there are different reasons why people look good most especially for women and that is the reason why cosmetic business is one of the fast growing business not just in Nigeria but in the world at large. Gone are the days where people see cosmetic as a thing of luxury or show off, today is an everyday thing. Years back there were people who only visited a beauty house once in a month but today they visit every weekend s this goes a long way to tell you that the level at which people use cosmetic years ago can not be compared to how cosmetic is used today and that is why it is a very profitable business to invest in. Cosmetic helps to keep the skin healthy and this is necessary for good hygiene. The good thing about this business is that it has the capacity to span across Nigeria especially when you make beauty and skin care products. According to research about 60 per cent of Africa’s population is young and are focused on looking good so this automatically increases the demand for cosmetic products. There are different areas of cosmetic business. Like I said before cosmetic business is a large business and each class is very profitable. Below are areas of cosmetic business. Makeup – This is the area of cosmetic that is strictly for women. Makeup is used to beautify faces, eyes, lips, nails. Gone are the days where people used makeup occasionally today it is seen as an everyday thing. Some of the makeup products mostly used are mascara, foundation, eyeliner, lipsticks etc. Skin Care – This cut across both male and female. It is regarded as the largest area in cosmetic business. There different products involved in this and new ones are being manufactured everyday. There are different products that are used in this area of cosmetic and they are creams, body lotions, facial cleansers, scrubs, anti-wrinkle creams, anti-aging creams, skin lightening formulas, toners, and lots more. Hair Care – The demand for human hair in Nigeria has skyrocketed. Every young girl in Nigeria wants to have a Brazilian hair and other type of expensive human hair that are available in the market. This has made the area of cosmetic business very profitable as well. However hair care also involves hair products like shampoo, beauty oil for oil, conditioners, relaxer. Fragrances – This is another aspect of cosmetic. It involves, deodorants, perfumes, colons etc. 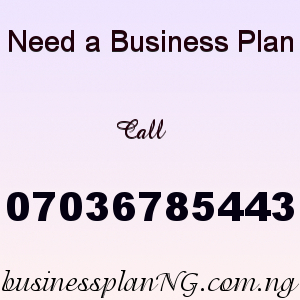 The first thing you need before venturing into this business is a good business plan and a feasibility stuudy report. A cosmetic business plan will give you the roadmap of the business. A well written business plan should contain all you need to know with current market analysis, financial projections, marking strategy, etc. You can meet an expert to write the plan for you or you can place an order for a well written cosmetic business plan and feasibility study report. With a good business plan you can tell the amount of money you need to start the business. Cosmetic business is not too capital intensive and its okay to start small. You can even start from home and grow your business to be the best in the country all you need is determination and direction. One important thing about this cosmetic business is LOCATION. Where your business is located can either make or mar the business. Its very important that you rent a shop in a location that can be easily accessible. Our sample Cosmetic Business Plan in Nigeria can be used to access bank loans, proposal writing and grant applications. The business plan was complied after a thorough feasibility study on Cosmetic Business in Nigeria was done. After you have made payment for your Cosmetic Business Plan in Nigeria & Feasibility Study, send your email and payment details to 07036785443. Once your payment has been verified the Cosmetic Business Plan PDF will be sent to your email.